Its Sunday which means another Inspirational person. Grab a cuppa and learn about this amazing man. Now Before we go in to his rise to success. I have to say Dave is one of the nicest people I have met through the world of twitter @davelackie and beauty blogging. To be honest I never thought a editor in Chief of a beauty Magazine could be so nice. I imagine the devil wears Prada? Miranda Priestly, any one else of just me? but this couldn't be further from the truth. If you are unaware of him get over to twitter and add him. He is always about with a friendly comment or beauty recommendation and runs loads of beauty giveaway. I read a comment on his twitter that I completely agree with it said "you are the most generous person on twitter"
Dave Lackie is editor-in-chief of BEAUTY the guide, a global digital flipbook magazine covering the world of luxury skincare, makeup andfragrance. He oversees a staff of beauty editors in Paris, London, New York and Los Angeles who write on the latest trends and product launches. The magazine is 100% editorial offering readers an insider view of the cosmetics. What’s unique is readers can click on products in editorial and advertising and buy immediately through e-commerce. Dave Lackie is also the men’s style columnist for the National Post newspaper in Canada. In this role he’s had the opportunity to interview Oscar de la Renta, Justin Timberlake, Tim McGraw, Ralph Lauren, Donna Karan, John Varvatos, Sean Combs and Diesel's Renzo Rosso among others. He also writes the "Sniff Test" column with National Post Style Editor Nathalie Atkinson. Both review and score the latest fragranceson the market. Each month, Dave appears on Citytv's Cityline TV show as their beauty expert where he discusses the latest beauty launches, trends and innovations. The show is watched by 2.1 million viewers each week. Before launching BEAUTY the guide, Dave acted as Editor In Chief of Cosmetics magazine, Canada's beauty industry trade magazine for seven years. He's written about skincare innovation, beauty trends and marketing campaigns. He's interviewed Halle Berry, Gwen Stefani, Celine Dion, Shania Twain, Chris Noth, and Sarah Jessica Parker. 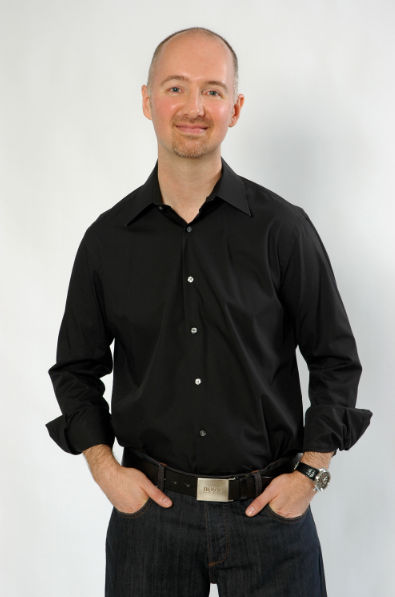 Dave has written for ELLE Canada, Canadian Business, Chatelaine, Profit, Financial Post, and the Globe and Mail. If Daves success isn't something to aspire to I don't know what is ! plus remaining grounded and such a nice person gives me hope that nice people do success and we don't have to be mean to be successful.